In the face of anti-fracking protesters, farmers have instead been encouraged to consider fracking as a diversification option. Despite growing opposition, farmers are being urged not to be put off fracking. A farmer has spoken out about the benefits of shale gas exploration and has urged others not to be deterred despite growing opposition from protesters. Tim Laycock who farms at Ballam near Lytham, Lancashire, said he was ‘disgusted’ at the behaviour of some activists, who had held large scale demonstrations on nearby Plumpton Hall Farm, owned by farmer Allan Wensley. He said fracking could be a potential diversification route for the industry. “Everyone in farming has to look for some kind of diversification," Mr Laycock said. "Everyone in farming has to look for some kind of diversification." Mr Laycock argued the nation was in need of the energy from fracking and said farmers could play a major role in helping the country become more self-sufficient. 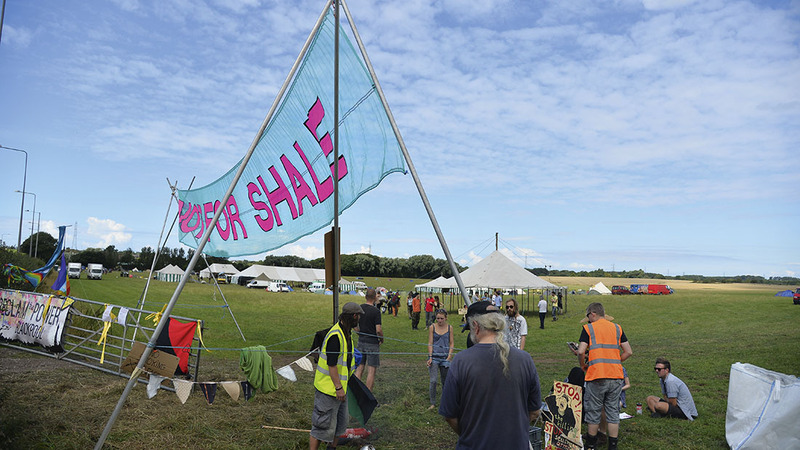 Mr Wensley previously said he would be proud to host the first site to produce shale gas in Lancashire despite being subject to a series of clashes with activists invading his land. It came as protesters challenged the Government’s decision to allow fracking in Lancashire at Manchester High Court, due to the long term damage it could do to the environment. Fracking company Cuadrilla said it would undertake the extraction of shale gas safely and securely. Drilling at the Little Plumpton site dis expected to begin next month. The firm promised to be ‘transparent’ with the local community and take any farmer relationship ‘very seriously’.